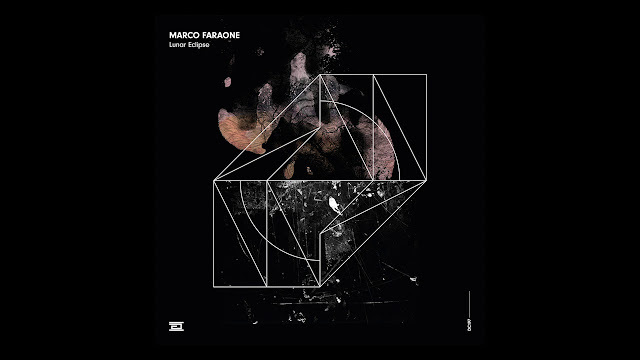 Marco Faraone returns to Drumcode with some of his most inspired work ever, comprising of four tracks crossing the Techno spectrum. Growing up Marco was surrounded by 90s Italo house and techno, which have all had a part in the current sound he produces today. Never one to stick to any individual style, he can often surprise his fans with a set pumping out peak time beats to down tempo house cuts with catchy vocals. His last Drumcode EP was back in 2016, so this October he makes a welcome return showing his multiskilled productions at their full potential on this mega 4 tracker, opening with the gargantuan ‘Never Forget’. Mutating rhythmic synths hark back to the good ol’ days of BXR and the limitless talent of the Italian Techno scene in the late 90s. Boiling over in the main break this is crowd-pleasing dance music at its finest. ‘Cruiser’ is a bumpy upbeat ride with a strong melodic hook that will have the hands raised and the feet stomping. Title track ‘Lunar Eclipse’ is a dense, at times claustrophobic roller. Menacing to begin with, the addition of the main melodic motifs lifts the mood midway. ‘Take This Trip’ rounds out an incendiary EP. Lighter and more musical that the previous three, it offers a joyful, softer message.